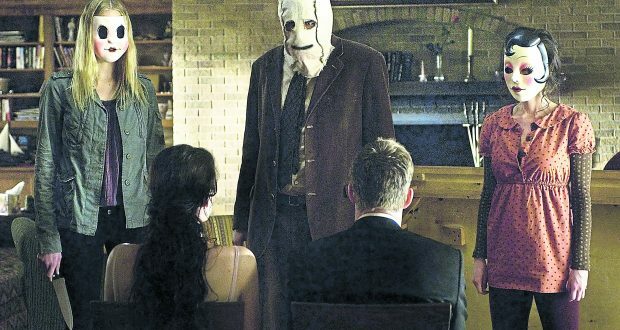 The Strangers: Prey at Night respects the original and it is a thrilling follow-up with exceptional acting. The original was released in 2008 and became a cult hit among horror fans and critics. The latest addition features a family road trip that takes a twisted turn when they find a relative’s home abandoned and they are stalked by three mysteriously masked killers. The film starts with the family preparing their troublesome daughter for boarding school and their son for college in what is meant to be a bonding session. This feels all too typical and predictable to begin with, as everyone knows something will go wrong. The film takes its time setting up the story, but you always feel something is about to happen even in the early scenes which is a testament to good directing, as you are left on the edge of your seat throughout. A lot of the tension comes to nothing to begin with, but much like the characters in the film, as soon as you feel safe there is a shocking turn of events as our family is divided and terrorised in a quest for survival. The film’s acting is very strong, which cannot always be said for horror films in general. Christina Hendricks and Martin Henderson make convincing parents, Lewis Pullman and Bailee Madison really shine as the children and appear to have a lot of acting potential. The film builds up suspense brilliantly, as its twists and turns leave the viewers shocked. It keeps the mysterious theme of the original and leaves you questioning your safety as any good horror should. Strangers: Prey at Night hits cinemas March 9. It gets four out of five stars.